Kedrin is the eldest child of Scientific Drilling‘s founders, Don and Elizabeth Van Steenwyk, and an owner of SDI. She joined our board as a director in 2003, while joining the Audit Committee at its inception in 2011. 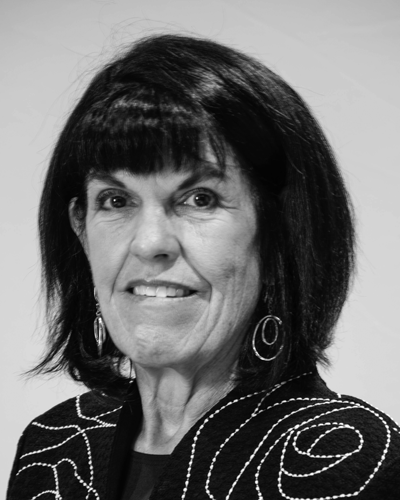 Kedrin was a practicing OB/GYN until her retirement from active practice in 2013. She completed her internship (1979) and residency (1984) in OB/GYN at the Kettering/Grandview Hospital in Dayton Ohio. She practiced her specialty in the Cincinnati/Dayton area, first in private practice, and then as the Program and Clinic Director of the OB/GYN Residency Program at Kettering Medical Center; she served on the OB/GYN faculty at Wright State. While in practice, Kedrin lectured at numerous conferences and events and served as speaker for several drug companies. Kedrin served on the Board of Trustees for the American College of Osteopathic OB/GYN (“ACOOG”) for more than 10 years. She served ACOOG in several chair and executive roles ultimately becoming its President for the 2003-04 term. Kedrin currently serves on the board of the certification arm of her specialty, the American Osteopathic Board of OB/GYN (“AOBOG”), as Secretary/Treasurer; during her 17-year tenure with AOBOG, Kedrin has served as a clinical examiner and on various committees. Kedrin also serves as Chair of Adelaida Cellars, a family-owned vineyard and winery in the Paso Robles area. Kedrin graduated with a Bachelor’s of Science in Chemistry from Occidental College (1975) and received her medical degree from Kirksville College of Osteopathic Medicine (1979). Phillip is an accomplished energy executive with 40 years of industry experience and joined our board in 2010 as an independent director. He serves as chair of the Compensation Committee and has served as Lead Director since 2014. From 1976 through 1997, Phillip worked for Atlantic Richfield Company (“ARCO”) and its subsidiaries in positions of increasing responsibility, primarily in the Gulf of Mexico and Alaska. Beginning his career in drilling operations, Phillip progressed through the ranks to serve as Operations Manager for ARCO Alaska-Prudhoe Bay (1991-93), Vice President-Human Resources for ARCO Alaska (1993-95), Vice President-Human Resources and Public Affairs for ARCO International Oil & Gas (1995-97), and finally as Senior Vice President of Production at Vastar Resources, Inc. (1997-2001). Phillip served as Nuevo Energy Company’s Chief Operating Officer from 2001 until its acquisition by Plains Exploration & Production Company in 2004. He ended his career with EPL Oil & Gas, Inc. serving as Executive Vice President and Chief Operating Officer from 2004-2005 and as its President from 2005-2007. In addition to our board, he currently serves as an Independent Non-Executive Director and Senior Independent Non-Executive Director at Pantheon Resources and as a Director of Pioneer Natural Resources Company. Phillip formerly served as a director at Energy Partners, Ltd., Pioneer Natural Resources GP LLC, a General Partner of Pioneer Southwest Energy Partners L.P., and EPL Oil & Gas, Inc.
Phillip is a member of the Society of Petroleum Engineers and holds a Bachelor’s of History from the University of Texas at Austin (1976), as well as a Master of Business Administration from the University of Southwestern Louisiana. Joe is a veteran energy executive with over 40 years of oil and gas experience and over 20 years of experience in senior finance positions for several publicly traded corporations. Joe joined our board in July 2011 as an independent director; he also serves as chair of the Audit Committee. He began his career at ARCO, a subsidiary of British Petroleum, in 1974 and served in various positions of increasing responsibility in multiple finance departments ending his ARCO career in 2001 as Vice President, Controller, and Principal Accounting Officer of Vastar Resources, Inc.
Joe joined Burlington Resources, Inc. in 2001 as Vice President, Controller, and Chief Accounting Officer retiring in 2006 as its Senior Vice President and Chief Financial Officer. Since 2006, other than his service on our board and the other boards identified below, Joe has been retired. He formerly served as a director at Linn Co, LLC, Global Geophysical Services, LLC, BPI Energy Holdings, Inc., and Rancher Energy Corp. Joe also has non-profit experience having served on the boards of the Anchorage Boys & Girls Club, Providence Hospital in Anchorage, and American Petroleum Institute Accounting Committee. Joe is registered as a Certified Public Accountant in New York and holds a Bachelor’s in Economics from College of the Holy Cross (1973), as well as a Master of Business Administration and Master of Science in Accounting from Northeastern University. 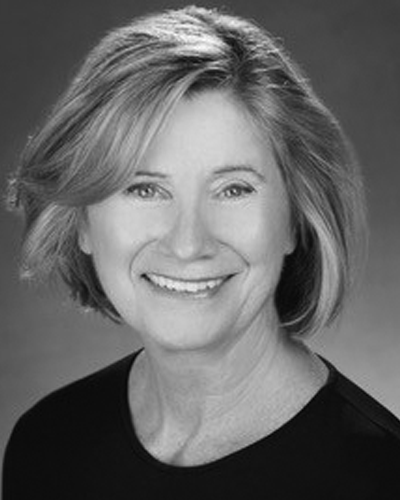 The complete energy executive, Pam has 40 years of relevant energy industry experience and knowledge. She joined our board in 2011 as an independent director and is a member of both the Audit and Compensation Committees. She joined ARCO in 1977 as a drilling engineer before progressing through various positions of increasing responsibility at ARCO and ARCO Alaska. After serving as ARCO’s Operations & Technical Services Manager, Pam served as Vice President-HSE and External Affairs for ARCO Oil & Gas Company (1991-93), Offshore Business Manager for ARCO and subsequently Vastar Resources, Inc. (1993-96), and Vice President of Business Development for Vastar Resources, Inc. (1996-2001). After 2001, Pam served as Chief Executive Officer and President of Houston-based Mirant Americas Energy Capital and Production Company. She also served as President of Huber Energy LP, an operating company of J.M. Huber Corp., where she designed and implemented a transaction strategy for property acquisition, divestiture, and monetization and had direct profit and loss responsibility for production properties and associated reserves in Texas, Wyoming, and the Gulf of Mexico Shelf. Since 2007, Pam has been a partner in Ztown Investments, Inc., focused on investments in domestic oil and gas non-working interests. Pam is currently a member of the Board of Directors of Laredo Petroleum where she is Chair of the Compensation Committee and member of both the Audit and Governance/Nominating Committee. She is also a member of the Board of Directors of Shawcor, a Canadian oilfield services company, where she is a member of the Compensation Committee. Previously, Pam was Vice Chair of the Board of Directors for Michael Baker Corporation, Chair of the Health, Safety, & Environmental Committee, and member of the Compensation Committee. She holds a Bachelor’s of Science in Petroleum Engineering from the University of Oklahoma (1977), a Master of Business Administration (Corporate Finance) from the University of Dallas, and attended the Independent Petroleum Association of America's Executive Oil & Gas Course at Harvard University. 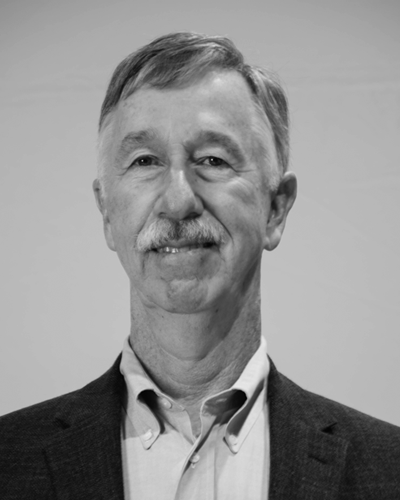 Gene has almost 60 years of experience in the directional drilling and wellbore navigation segment including more than a quarter century as a senior executive at SDI. Upon retirement from SDI in 2010, he joined our board and serves as a member of our Compensation Committee. 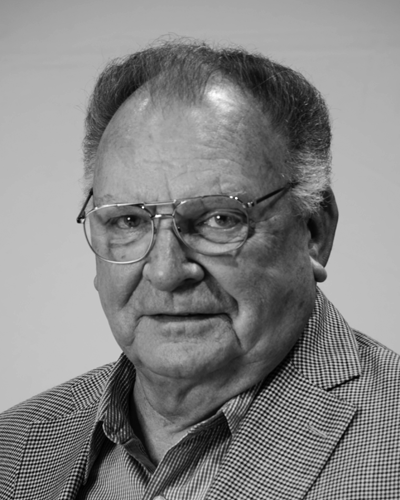 Upon honorable discharge from the US Air Force in 1959, Gene began his career in the oilfield as a Wireline Rigger. In 1961, Gene joined Eastman Whipstock as a Salesman progressing through various sales and management roles of increasing responsibility before leaving in 1982 as Vice President-Worldwide Operations. 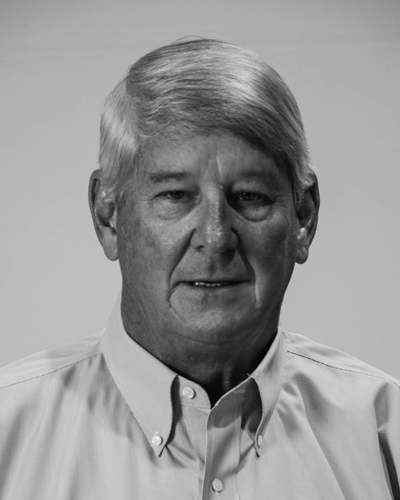 In 1983, Gene joined AMF Scientific Drilling International as Manager-Domestic Operations and was promoted to Executive Vice President-Worldwide Operations in 1986 following the purchase of SDI by Don Van Steenwyk. Gene finally served SDI as its President and COO from 1997 through his retirement in 2010.